Are you interested in the research services of Africa Business Panel? Do you want to participate in and join the Africa Business Panel? 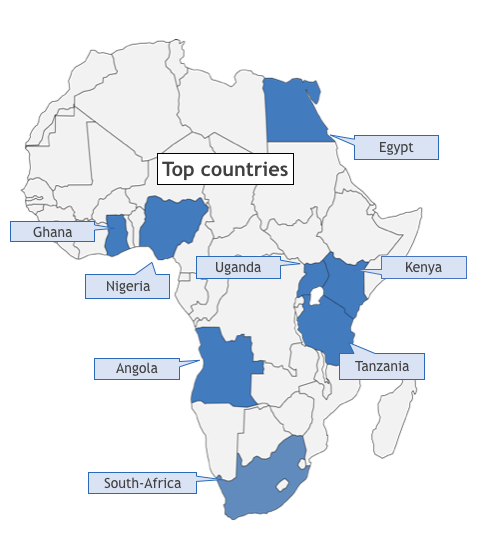 The African economy has been growing for the past decade at an above average rate and many African countries are still showing growth rates that rank among the highest in the world. We see an abundance of business opportunities for companies both inside and outside Africa. But you have to know where to look for them. In a fast developing business environment like Africa, access to relevant, accurate and reliable market information is invaluable, and that is where we aimed our ambition at. The Africa Business Panel offers its clients market research in Africa, essentially acting as the intermediary between business opportunities and potential investors. According to reliable market experts we are currently the biggest online B2B panel of Africa. Why we started the Africa Business Panel? When we were in Africa, we heard that asking questions about the economy to 100 business men in the street would be better to rely upon than the official economical statistics. On 5 November 2010, Ghana Statistical Services announced that it was revising national GDP estimates upwards by over 60%. In the fall of 2011 its near-neighbor Nigeria also announced a forthcoming revision of its GDP by 50%. Can you imagine: The doubling of GDP in Nigeria implies that the GDP for the whole region increases by more than 15%. The value of the increase amounts to as much as 40 economies roughly the size of Malawi’s. Even Shanta Devarajan, Chief Economist for the Africa Region of the World Bank, spoke about the urgent need to address the shortcomings of development statistics. For us it was obvious, there is a strong need for reliable data on how Africa and its economy is really doing. In 2011, we started therefore the Africa Business Panel and some years later the Africa Purchasing Managers Index. The opinions and answers of the panel participants are providing us with real indicators of how Africa is doing, either per country or per branch. The Africa Business Panel gives you direct access to today’s African executives who are shaping tomorrow’s business environment. We all know that there are still constraints that withhold foreign investors from becoming active in Africa. One of the most important constraints is the lack of reliable business data. In order to improve African Business Data and also to make the data easily accessible, we have started the Africa Business Panel. With over 14,500 members and growing every day, this is the biggest Pan-African Online B2B Market Research Panel. By doing so, you will help to improve the African Business Environment for investments. As a member you and your company will be entitled to some significant benefits. The more you participate in surveys, the better are your chances of benefitting from your participation. You will contribute to Africa’s economic development since your appreciated knowledge and opinion helps to get a better fundament for doing business in Africa. Our Market Research Surveys are shared with you as a survey participant and can be used as a benchmark. You will receive relevant business leads first, especially if you are a regular survey participant. As a panel member, you will have a priority position in the publications of interviews, press releases and company profiles on our website AfricaBusinessCommunities.com. For some surveys, we reward a random selection of survey participants with Amazon.com or other gift cards that will get you items you like, from books to an iPad. You are able to freely network with other panel members. There will be no obligations: You can indicate whether or not you want to participate in surveys.